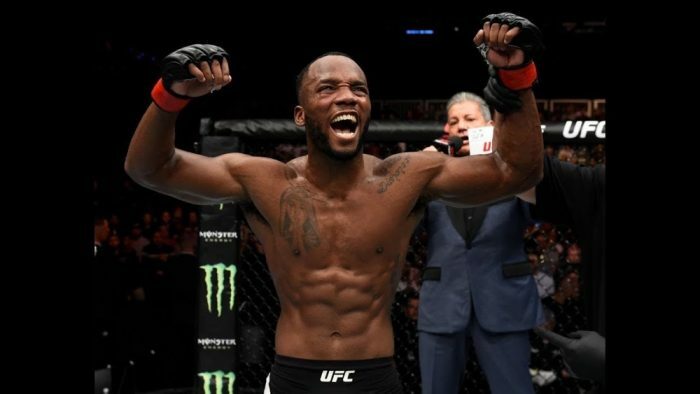 Leon Edwards knows he’s got what it takes to become the face of mixed martial arts in the United Kingdom. The top 15 ranked welterweight will get his first taste of a main event this weekend when he takes on Donald “Cowboy” Cerrone in the main event at UFC Fight Night in Singapore. If all goes well, Edwards hopes to put Cerrone away and then call for a top 10 ranked opponent with hopes that he can convince the UFC to bring the fight to his hometown of Birmingham, England. “That’s my plan. It’s to go out there, take this man out and then hopefully I can get a show in my hometown as well. That’s 100-percent my plan and one of my dreams,” Edwards said ahead of his bout in Singapore. “Go out there, put Cerrone away, call for a top five or top 10 opponent in my hometown in Birmingham, England. That would be a dream come true. Edwards hope to bring the UFC back to England comes after a successful show in Liverpool just recently that was headlined by fellow welterweight Darren Till. While Till rocketed up the rankings after defeating former two-time title contender Stephen “Wonderboy” Thompson, it was Edwards who was calling for that fight months earlier in hopes of setting up a fight between two elite fighters from England. Despite not getting that fight, Edwards still believes it’s only a matter of time before he proves he’s the real force to be reckoned with out of all of the fighters coming out of the U.K.
Michael Bisping carried the U.K. MMA flag throughout his career but after just recently retiring, Edwards feels it’s time that the torch was passed to him. “I feel I can 100-percent be that guy,” Edwards said. 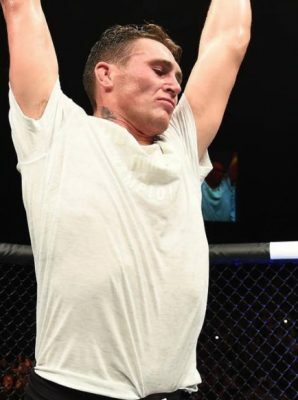 “I feel I’ve fought better opponents than all the other guys [Darren Till and Michael ‘Venom’ Page] and I 100-percent believe I can be that guy. I could take that on my shoulders, I could be a guy that carries MMA in the U.K.